Two Great Teams Are Now One In The Same! The greenhouse and nursery industry just got growing in the right direction providing the finest horticultural products and services to the green industry. 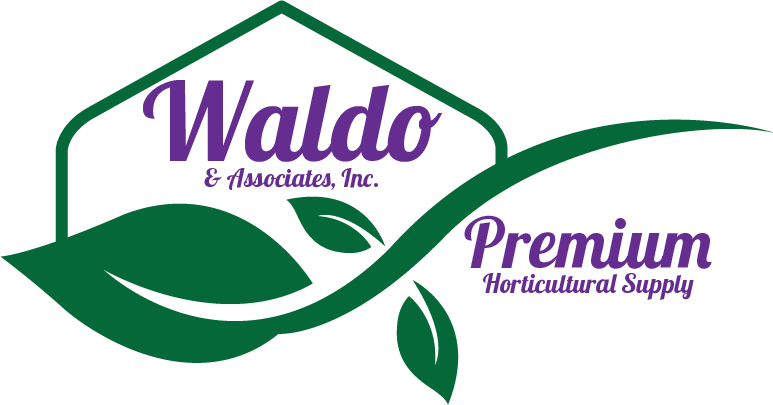 In January 2015, Waldo & Associatess, Inc. of Perrysburg, Ohio and Premium Horticultural Supply Co. in Louisville, Kentucky joined hands to better serve you. These two highly respected horticulture distributors are officially one company. This is great for you, our valued customer, because the product line is now expanded with new items being offer all the time. Services such as custom greenhouse structures, parts and a vast array of irrigation parts to save you time and money. See the next slide to find out more information about Premium Horticultural Supply Co.
Our focus is to meet the needs of our valued customers with products and services that help your business “grow”. In a market area of constant change, we have stayed true to providing a vast array of grower products, nursery supplies and truly distinctive garden center items, which allow our consumers to be competitive and be profitable. The right products at the right price is not always an easy task. However, top-level customer service is our ultimate goal. For over 41 years, we have been a solid, stable and a key component in Kentucky, Southern Indiana and Southern Ohio region. Our roots run very deep in this industry from lawn seed, farm equipment and garden hard goods to our present day stock of everything essential to the greenhouse grower, nursery & garden center. Premium Horticultural Supply didn’t become a leader in our marketplace overnight. This is a process that requires two things; great customer relationships and having the knowledge of this industry to be your best source for products that work. We understand the green industry and work hard to be sure you are getting what you need to be successful. Copyright © 2015 Waldo & Associates, Inc. / All rights reserved.